"Why crawl when you can run?" 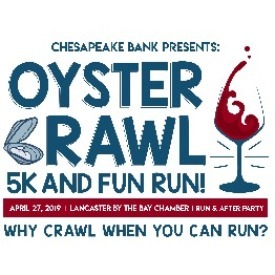 Join the Lancaster by the Bay Chamber 1st Annual Oyster Crawl 5k and 1 Mile Fun Run at the Dog and Oyster Vineyard. 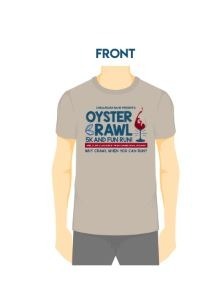 This is a 5k and a 1 mile run(through the vineyard), both family and canine friendly. Price includes a t-shirt and a glass of wine for of age participants! Live music from JJ & Co. and lots of fun for the entire family!